This is solitaire at its best - relaxing, addictive, and challenging. Avalon. A land of lush forests, great plains, tall mountains... and most of all, magic! 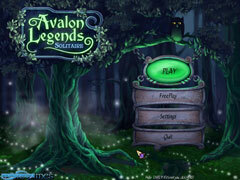 The Druids of Avalon wield powerful healing magic, activated through the use of magic cards. 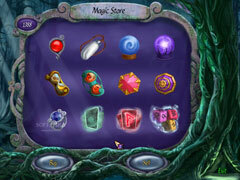 Just like runestones, the magic of the cards is unlocked by placing them in the correct order. Travel through 200 unique levels, collecting magic cards along the way in your quest to reassemble the Deck of Nature. 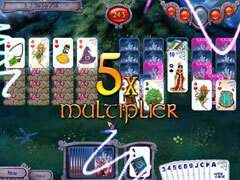 Set up huge combos to maximize your score multiplier, and cash in your winnings at the store for powerful bonus items. Collect wild cards, and use them wisely to achieve perfect results! This is solitaire at its best - relaxing, addictive, and challenging. 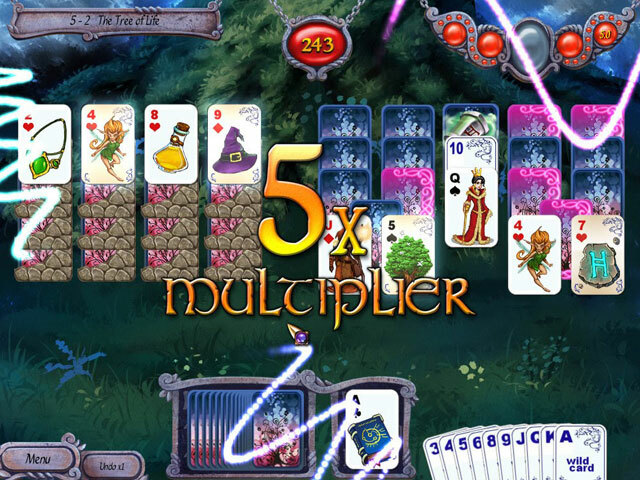 With 12 bonus items to buy, 13 awards to unlock, and multiple challenges to overcome on the way, Legends of Avalon Solitaire will provide you with hours of card-stacking fun.